I need to tell you something. I am a stalker. 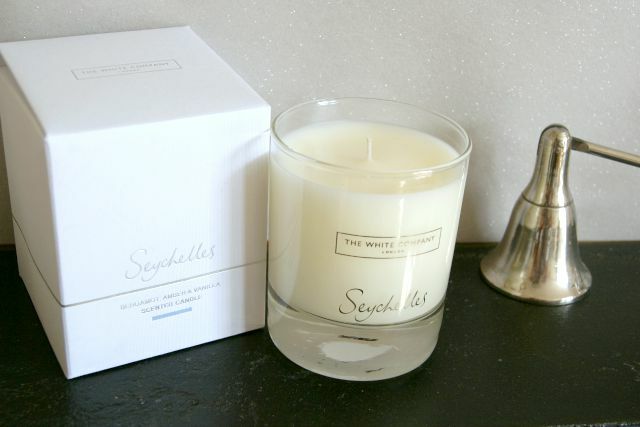 I’ve stalked The White Company Seychelles candle for years. I can’t go past a White Company without getting twitchy if I don’t go in to have a little smell of it. I feel better for sharing this. Happily, I have very lovely friends who bought me my very own Seychelles candle for my birthday and I no longer need to leave the house to get my fix. This does not disappoint me. If you haven’t smelt it, I urge you to go to The White Company immediately to find out what I’m on about. Read the rest of this post first. “Like a warm Indian ocean breeze, soothing Seychelles is an evocative blend with notes of rich amber, fresh bergamot and bright orange, warmed by notes of exotic coconut, vanilla and almond”. Yep, they nailed it, that is what it smells like. Couldn’t say it better myself. 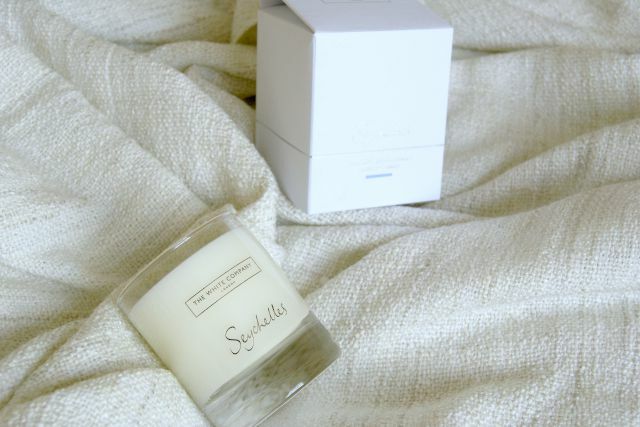 What I can add is that this candle smells lovely, rich and relaxing with a good fragrance throw that has no problems scenting the whole room quite quickly. It’s not too sweet or sickly and yet still reminds me of a pina colada (love a pina colada). One thing that I love about this candle is the even burn. It’s really annoying when you end up with half your candle still clinging to the top of the glass when your wick is doing it’s thing at the bottom of the glass, but this one burns evenly all the way down the glass. You get your waxy money’s worth. Overall, in case you hadn’t guessed, I thoroughly love everything about this candle. 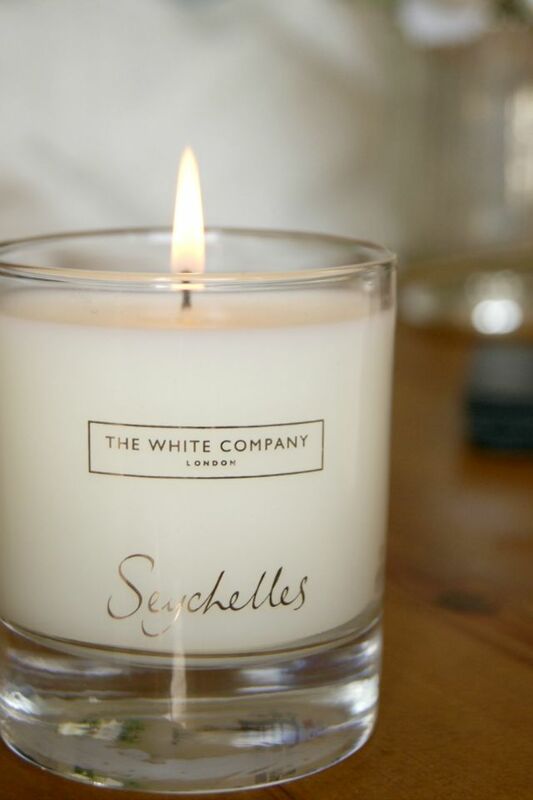 As you might expect from The White Company, this isn’t a bargain candle, but it is totally worth the £20, especially if you aren’t jetting off to the Seychelles any time soon. As always, I love reading your comments and they are always appreciated. Do you stalk inanimate objects in shops? 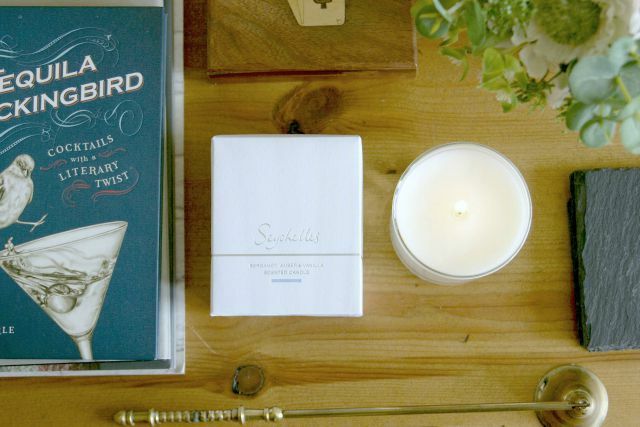 Or do you have a favourite candle scent?